My wallet, checkbook, and debit card have all gone on a diet. It's like a low carb diet, except it's a low dollar diet. Anything that costs twenty dollars or more isn't on my diet plan. Coincidentally, many items cost $19.95 which is too close to my dietary limit. It's the perfect spending limit; anything that qualifies as a wise purchase and costs less than twenty dollars is allowed. It's only those things that cost $20 or more that have to wait. Obviously, paying our household bills doesn't fall into the diet plan. Think of bill paying like going to a party; you're allowed to go out and eat whatever you want for one night but you're back to your diet the next day. There are necessary reasons to spend more than $20: filling the gas tank, paying the monthly bills, filling prescriptions, visiting the doctor. However, there are small purchases that should stay under this number. The total bill might be more than $20 (who's going to spend less than that on groceries?) but the individual items should stay below this number. Why twenty dollars? It's a magic number for spending: MAC machines dispense twenty dollar bills, TV commercials focus on the number, and 5x20 equals $100. In all likelihood, a trip to the department store could total $100 with only five items in hand. A few spontaneous purchases at the bulk shopping warehouse (Costco, Sam's Club, BJ's Wholesale) could add a substantial number to the total bill. Twenty is a perfect limit. Even twenty dollars doesn't interfere with larger shopping trips, but it does keep them in check. A trip to the grocery store won't break the $20 diet. A roast, a chicken, or a bulk pack of hamburger won't break the $20 limit; if it does, the menu needs to be revamped. If a night out is essential (a birthday treat, the boss is in town, a date) the number still works if it applies to individual items. Choose a restaurant that offers total meals less than $20. If the steak platter costs $22.50, then choose the pork chops instead. Don't forget to factor in the tip and the drinks. Maybe splurging on the lobster ravioli is forgivable if you order water rather than wine with your meal. The twenty dollar limit keeps spending in check. Make the rule that unless it's a special occasion like mentioned above, going out shouldn't total $20 or more. For the individual, this means that a night at the movies could be possible. However, for the family that trip is out of the question. This sliding rule seems appropriate since a family trip to the movies could prove to be quite expensive and most likely budget breaking. Knowing that as a family you can't spend more than $20, you'll find yourself eating at home more often. Those drive-thru restaurants have trouble feeding a family of four for less than that. The movies and other expensive trips are out of the diet plan, too. Instead, you'll quickly find yourself eating and playing at home, somewhere that offers so much more than a cheaper tab. I have a set monthly budget for non-essential items, lunches out with friends, etc. There have been months when I was slightly under the limit, which left a few dollars over for the next month, or slightly over, which I make up the next month. I record these expenditures the same day I make them and keep a running total. It's been a huge help in terms of curbing this kind of spending, because previously I wasn't nearly as aware of what I was spending. Great idea. My wallet is going on a diet too. Will have to start on October 1 because of no money. I should have been on the diet this month. Thanks for the suggestions. My husband and I have started paying out "allowance" directly into our personal accounts. We have a joint checking and savings for house expenses and another one that pays for the mortgage and the other static bills. We started at $100 every two weeks but I have readjusted that to $40 recently. 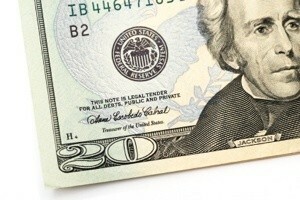 So I guess we are on the $20 money diet too. What a wonderful article. Thank you for sharing this. This sounds good! What I do is when I go into a store I look to see where the object is made. If it is somewhere besides U.S. I look at it and think and ask myself : Do I really, really need this? You would be surprised how much I save now. I am not only saving, but I am helping our country. Buy America made only!